Ocean City is one of the most popular vacation destinations in Maryland. If you are there and would like to take in a nature adventure, you can always head over to Assateague Island, which is just a few miles to the south of the City. This is a relaxing spot that can be enjoyed by nature enthusiasts of all ages. The Assateague Island National Seashore is an Atlantic barrier island that features some beautiful landscapes that are filled with lush forests, sandy dunes, and scenic swamps. Of course, you also have the Atlantic Ocean lying next to its coastline and a wide array of wildlife. Some of the most beautiful wild ponies can be found on Assateague Island as they just roam around enjoying their freedom. You will be able to see these wonderful creatures just about anywhere as they enjoy trotting along the sand dunes and lazing in the grass at the marshes. The National Park service offers some interesting water and land tours at the island and you will also have the opportunity of exploring this great place on your own. You’ll be able to hike through the dunes, forests, and marshes while getting a closer look at some of the island’s numerous animals. Along with the wild ponies, you will also find sika deer there as they like to wander down the underbrush along the forest trails. The sika deer is quite small and looks to be related to some type of elk rather than an east coast white-tailed deer. These deer have adapted well to the marshy environment of the island. The Fish and Wildlife Service has stated that there are over 300 different species of birds on the island that either live there all year long or visit it on an annual basis. You’ll likely see several different species of birds depending on the time of the year you visit the island. Some of the birds you may see flying around or resting in tree branches include bald eagles, herons, swans, and plovers. If you are visiting Assateague Island you will be able to relax and enjoy Mother Nature, but you can also stay active if you choose by cycling and/or hiking throughout the island. When the weather is warm, you also have the ocean and beaches to enjoy. There are several different length trails to explore and you can even kayak through the marshes. 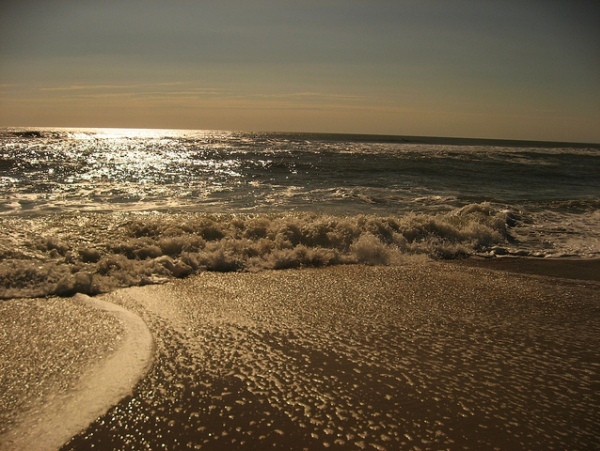 In addition the Assateague Island National Seashore also offers fishing and hunting. However, you’ll need to check out all of the rules and regulations concerning these activities. Camping is available on the island and finding a spot along the coastline is highly recommended. You will be able to find both RV and tent sites on the island and it’s an excellent way to soak in the wonderful atmosphere. If you plan on camping out in a tent it’s a good idea to use long stakes to anchor it in the sandy soil. Also, there are several marshy areas, so don’t forget to take along some insect repellent as well as mosquito nets since the insects nest there.